Heros come in many forms. Some are widely recognized for their bravery and others remain mostly anonymous and unrecognized, yet their deeds change lives in countless ways. Sometimes the hero may have no idea that they are making a difference. Our SEL teachers are heroes. It’s a rare gift to find out that you are making a difference in someone’s life, and we’re sure that our teachers are not hearing about it often enough. We know sometimes it feels like a thankless job, but the fact that you show up day after day and never give up on our kids is making a difference. You are creating ripples on the pond that have impacts well beyond what you may ever realize. We know that this has been a tough year for you, and sometimes you feel like giving up. Please don’t. Every day you get up and make a difference in the lives of our kids. Every day, you change lives. Every day, your example influences another human being and helps shape them into a person who will change the world. SEL graduates are changing the world–you’ve read their stories here. You were an important part of that. You made the difference. The decision you made to get up and try again another day, helped make that happen. Don’t ever stop. Nonetheless, our SEL Schools received “A” grades for value added, gifted value added, and special needs value added, and an overall grade of C, which according to an article that ran today in Cleveland.com, is now the most common grade received, with the number of districts receiving “A” grades dropping from 37 to 6. The metrics used for state report cards falls far short of telling the whole story of a school district. Yet school rankings, no matter how flawed, will be touted by media outlets, tweeted, posted on Facebook pages, and spread like the plague across the region, creating winners and losers, and sealing the fate of communities. The internet trolls will be at it again, tearing down diverse schools and making cringe-worthy comments. The real story can’t be found in a score. It’s told through the stories of the families, students, and teachers that make up a district. We plan to keep telling them. Brush Art Continues to Amaze! If you weren’t already aware, the Brush Art Department is one of the crown jewels of the SEL District. Every year, Brush art students win awards at local, state, and national competitions and a surprising number of students go on to pursue fine arts or applied arts careers. Brush will be one of the 11 regions in the state of Ohio for the Governor’s show this year. Brush Art teachers will take in an enormous amount of student artwork to be judged regionally, as the most central region in Northeastern Ohio. Works selected by judges at Brush will go to Columbus for a state final judging. The event is from 7:30 -5pm Saturday, March 5th. In keeping with tradition, Brush students swept the recent Scholastic Art and Writing Awards. Brush students received 22 awards at the 36th Annual Scholastics Art & Writing competition. This exhibit showcases Cuyahoga County’s finest young talent. Judges sorted through 3,000 pieces of artwork and writing samples before choosing the finalists that were on display at the Cleveland Institute of Art’s Reinberger Gallery from January 14- 30th. All pieces receiving the highest merit of “Gold Key” will continue to be judged at the national competition in New York City. Our little blog has now reached almost 16,000 views. This tells us that people care deeply about our schools and about working to shift negative perceptions. We have to work together as residents, parents, students, teachers, and school administration to undo more than a decade of false assumptions and gossip mongering. Keeping people talking openly and turning ideas into action is our goal. None of us can do this alone, but together we can and we will. We want to hear your ideas about how we can make SEL Schools the destination school district we all hope it can be. Keep the ideas and the comments coming! Here’s to another 16,000 views! As someone engaged in the 24-7 business of building community in an inner ring suburb, one thing becomes abundantly clear: when it comes to people’s perceptions, we don’t get a second chance. It’s as if people are waiting for confirmation that we are, as some online commenters like to say, circling the drain. Any report of a theft, an arrest at the supermarket, a group of kids walking home being loud and obnoxious, too much litter on the ground, and it confirms their worst suspicions—“This place is on the decline. Better get out while you can!” Of course these things happen everywhere. The difference is, when they happen in a more uniformly upscale community, they are outliers—not representative of a negative trend like they are when they happen in a city like ours. Those cities get the benefit of the doubt. We never do. We’ve learned to accept that everything is harder here. Every victory is hard won. The decks are stacked and we have to work harder and be more innovative, just to keep our heads above water. We can’t work a regular 40-hour week and expect that to be sufficient. We need to attend the block group picnics, answer the emails, texts, and Facebook messages at night and on the weekends, to reassure even the most committed residents that everything will be okay. We drive out to a vacant house on Sunday to get someone to shut off the water that’s pouring from the basement windows. We pull weeds in the park because we don’t have enough staff to handle it. Why does it have to be so hard? We are the middle class. Just like the rest of middle class America, we are stretched too thin. We wonder how much longer we can hang on. Inner ring suburbs are the canaries in the coal mine. What happens here happens on a larger scale everywhere. As smaller suburbs, we’re the perfect sample size to spot trends. Predatory lending, mortgage foreclosures, strategic defaults, growing property tax delinquency, bank walkaways—we’ve spotted them here first. Like a mother who knows instinctively that something is wrong with her child, we know these places intimately and we quickly know when something goes amiss. The frustrating part is that it doesn’t have to be this way. Lots of people thought it was a great idea to keep spending money building roads and infrastructure that would cause cities like ours to hollow out, encouraging those with greater means and the desire for new and bigger housing to move to suburbs further and further out, leaving us with the same infrastructure to maintain with fewer and fewer resources to do it. Since our region doesn’t share equally in these costs, cities bear the burden of maintaining themselves as resources diminish. Taxes go up to compensate, and already squeezed residents find it harder and harder to justify paying more and getting what seems like less. As sidewalks and roads start to crumble, the naysayers’ negative assumptions get reinforced and more people leave, making it a vicious self-fulfilling prophecy. Soon a suburb that was founded on the American Dream, becomes a city of broken dreams. The post-war bungalows that suited our parents’ and grandparents’ generation seem tired, too small, and past their prime–no longer good enough for our young families. Many who remain see little value in improving the homes, and have difficulty finding a lender to help make that happen even if they wanted to invest in improvements. Real estate agents do little to help, as many tend to reinforce the notion that these homes aren’t worth improving. They advise homeowners that a gourmet kitchen and flagstone patio won’t be investments that can be recouped at resale time. As our schools shifted in their demographic mix, hitting some unspoken tipping point, many residents lost confidence and expressed it by either moving away or choosing a private school that puts their finances further on tilt—money that could have been invested in the upkeep of their homes or towards their children’s college education. As a result, the demographics of our schools no longer match the demographics of the communities they serve—having become predominately minority and higher poverty. Not surprisingly, state test scores decline and yet another self-fulfilling prophecy is realized. Local media are only too happy to publish school rankings and sites like Zillow create handy color-coded school rating systems based on dubious metrics that further steer prospective homebuyers to higher-income exurban locations. This is the new face of redlining for our era. What homebuyer who has a choice would choose to move to a school district with a red or yellow rating on Zillow? Even if they have no children, they worry about resale. Those of us with children in these school districts know first-hand that our kids are getting a great education, but these pervasive perceptions affect everyone, hurting the children attending the schools, the faculty, and the community. After a while the self esteem of the community falters. We no longer expect anything good to happen. We don’t expect to get a beautiful new retail district or see new homes being built. When those things occur, they are regarded with suspicion. With that kind of negative community narrative, is it any wonder that new residents aren’t attracted to the area? Realtors discreetly (and illegally) tell some house hunters that they “might prefer another area”. So why bother? Why does it matter if another inner-ring suburb goes down the drain? Nature abhors a monoculture. Just as a field planted with one type of crop is more prone to disease than a wider variety of crops, diversity creates a stronger community. Inner ring suburbs by their nature are diverse, accommodating all people across a wide variety of cultures, race, and income levels. When I see our community, I see infinite potential. I’ve seen first-hand how our houses can be transformed into showplaces. When maintained well and attractively improved, our homes sell quickly, many times above their asking price. I know because of my own family’s experience that our schools are great in spite of the rumors and the decline in state rankings. We have the potential to be amazing, and I hate to see wasted potential. Because of our central location, we can be almost anywhere in minutes. Great shopping, restaurants, breathtakingly beautiful parks, and healthcare options are within walking distance. We have terrific access to public transportation, eliminating the need to commute to many locations by car. Our housing stock is diverse, well constructed, and affordable. As one resident likes to say: “we may have a small house, but we have a big life”. Not overspending on housing has allowed them the flexibility to travel widely and live out their dreams. Many of our residents do the same, having paid off their homes, their lives are now their own. They are not living one paycheck away from catastrophe. We are seeing more young professionals moving in as well—student loan debt making our affordability very attractive. The key will be retaining them in the years to come. All of this unrealized potential comes at a high cost. The cost of maintaining infrastructure for a region that keeps sprawling is not sustainable. Hunter Morrison’s extensive research for Vibrant NEO 2040 spells out the risks of not changing course and shows exactly how these negative trends can be reversed by making better policy decisions now. Why not support and maintain what we already have? It’s far more sustainable and cost effective, especially when you consider that one way or another, we will have to support it either by fixing it, or dealing with the aftermath, including shifting tax burdens to outer communities if we don’t. Compounding these sobering trends, the state has taken away sorely needed resources from cities including the Local Government Fund, to add to the state’s “Rainy Day Fund”. We need to let Governor Kasich know that while the sun might be shining at the State House, it’s raining in the inner ring suburbs. Sometimes at the SEL Experience Project, we get a scoop so great that we just can’t wait to share it. Right now, we’re so full of ARC pride, we just might burst! The Brush Robotics team took the highest possible award at last weekend’s qualifying tournament at Kent State University. After taking the second place alliance at Tri-C in January, the team went on to to earn Captain of the winning alliance at Kent against 24 other teams–the highest award possible! The Brush team also took the Control Award, which is given for the best use of sensors and robot control algorithms. They will go on to compete in the state championship in Cincinnati this weekend. Way to go Brush Robotics Team!!! 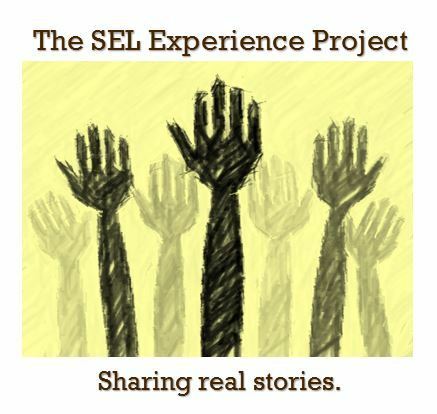 If you have a great ARC story to share, please email us at selexperienceproject@gmail.com. Don’t forget to include some adorable pictures! We love to share the great news, so keep it coming!